Plastic packaging boxes with hinged lid and integral shank holding device. Ideal for 10 micro tools. 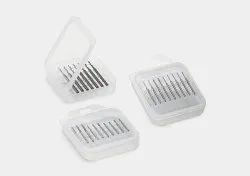 Looking for “Micro Drill Pack Plastic Tool Boxes”?